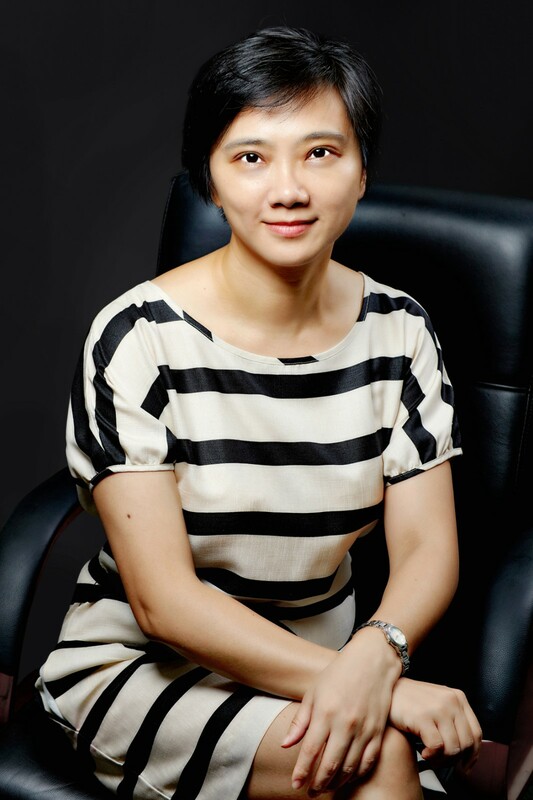 Before joining CUHK (SZ), Dr. Zhan worked at the Hong Kong Polytechnic University as an Assistant Professor in Marketing. Her research interests focus on consumer decision making and marketing communications. Her publications appear on Journal of Consumer Research, Journal of Advertising Research, and Journal of Business Research, among others. She has taught courses including Marketing Management, Marketing Research, Consumer Behavior, and Integrated Marketing Communications. 1. Lingjing Zhan, Piyush Sharma, and Ricky Chan (2015), “Using Spotlight Effect to Curb Counterfeit Consumption - An Experimental Investigation,” Marketing Intelligence & Planning, 33(4), 556-574. 2. Yuwei Jiang, Lingjing Zhan, and Derek D. Rucker (2014), "Power and Action Orientation: Power as a Catalyst for Consumer Switching Behavior," Journal of Consumer Research, 41(1), 183-196. 3. Lingjing Zhan and Alison Lloyd (2014), “Customers’ Asymmetrical Responses to Variable Pricing,” Journal of Revenue and Pricing Management, 13(June), 183-198. 4. Lingjing Zhan and Yanqun He (2012), “Understanding Luxury Consumption in China: Consumer Perceptions of Best-Known Brands,” Journal of Business Research, 65 (10), 1452-1460. 5. Jin Li and Lingjing Zhan (2011), “Online Persuasion: How the Written Word Drives WOM,” Journal of Advertising Research, 51 (1), 239-257. 1. Yuwei Jiang, Lingjing Zhan, and Derek Rucker (2012), “The Power Switch: How Psychological Power Influences Brand Switching Decisions,” Advances in Consumer Research, 40, 303-307. 2. Lingjing Zhan and Richard D. Johnson (2007), “Prior Expectations and Consumer Analytic Categorization,” European Advances in Consumer Research, 8, 258-259. 1. Power and Consumer Decision-Making. Funded by General Research Fund (Hong Kong), HK$223,598. Duration: 01/01/2012-30/06/2014. 2. Online Persuasion: What Makes a Product Review Helpful? Funded by General Research Fund (Hong Kong), HK$479,600. Duration: 15/10/2010-14/10/2014. 3. Demystifying Counterfeit Purchase Behavior: Exploring the Role of Outcome Desirability Bias, Attribute Diagnosticity, and Outcome Importance. Funded by Internal Central Research Grant (Hong Kong Polytechnic University), HK$140,912. Duration: 30/09/2008-29/08/2011. 1. Yuwei Jiang, Tianle Zhang, and Lingjing Zhan, “Investigating Consumer Reactions toward Publicized Product Downsizing,” presented at 2014 ANZMAC conference, Brisbane, Australia. 2. Lingjing Zhan, Piyush Sharma, and Ricky Chan, “Exploring Pessimism Bias and Spotlight Effect in Counterfeit Consumption,” presented at 2014 Asian Congress of Applied Psychology, Singapore. 3. Yuwei Jiang, Lingjing Zhan, and Derek Rucker, "The Power Switch: How Psychological Power Influences Brand Switching Decisions", presented at Association for Consumer Research Annual Conference, 2012, Vancouver, Canada. 4. Lingjing Zhan and Alison Lloyd, “Customer responses to dynamic pricing: Effects of price difference and price favorability,” presented at Association for Consumer Research Asia-Pacific Conference, 2011, Beijing. 5. Yanqun He and Lingjing Zhan, “Understanding Luxury Consumption in China: Evidence from the Most Well-known Brands,” presented at Global Marketing Conference, 2010, Tokyo. 6. Lingjing Zhan and Richard D. Johnson, “Prior Expectations and Consumer Analytic Categorization,” presented at Association for Consumer Research European Conference, 2007, Italy. 7. Lingjing Zhan and Richard D. Johnson, “The Effect of Rule Accessibility on Categorization,” presented at Society of Judgment and Decision Making annual conference, 2005, Canada. 8. Gerald Haubl, Richard D. Johnson, and Lingjing Zhan, “The Impact of Attribute Distributions on Consumers’ Choice of Screening Attributes,” presented at CORS/INFORMS Joint International Meeting, 2004, Canada.